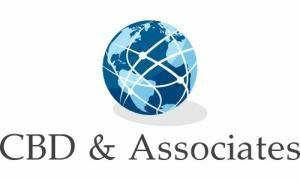 CBD & Associates offers comprehensive event planning services, perfect for any occasion. Our team of event planners will use their talent and expertise to create your most memorable events. If you want a spectacular event that will be remembered for years to come, trust in CBD & Associates to make it happen. ***Package may need adjusting to accommodate event.....***** For the couple that has already taken care of the wedding planning, but would like a wedding coordinator on-site to assist with the rehearsal and ceremony logistics execution of the set-up for the ceremony and reception. Service includes: Two face-to-face meeting, to discuss wedding details. Personal checklist and itineraries. Direction of the wedding rehearsal. Confirmation and supervision of all vendors to make sure all services are fulfilled as contracted. Act as a liaison between couple and vendors. Manage the timing of your event, to avoid costly overtime. Distribute final vendor payments and gratuities. Wedding day emergency kit. Provide one additional wedding day assistants. Up to 10 hours of service Execution of setup for ceremony and reception Placement and retrieval of items such as programs, bubbles, favors, cake accessories etc. Setup of décor not handled by venue and florist. Assist wedding guest with seating and non-RSVP mishaps. Method of payment via, check, credit card or net 10 invoice. Deposit is due upon booking. All final balances are due upon invoice receipt. Cancellation must be prior to 14 days prior to event. Deposit may be used for future date.